Tremble! Potatoes Clicker! Collect potatoes, sell it, and feels like a real Belarusian agronomist! Trash and unbridled joy are waiting for you! The new version 0.6! 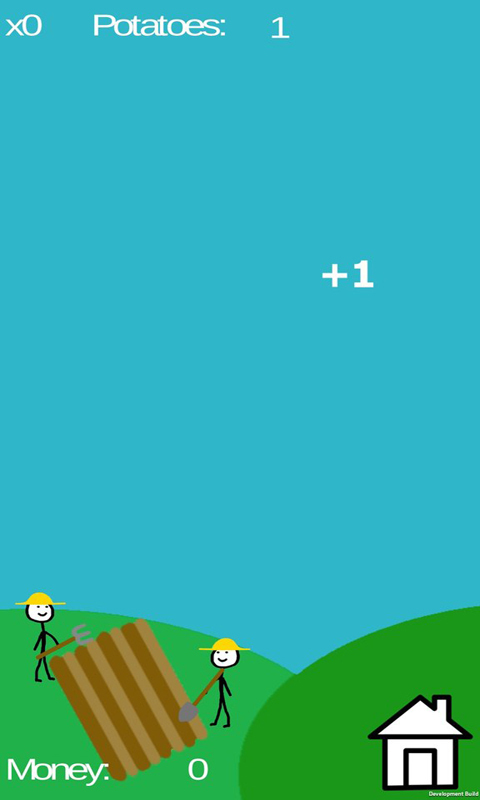 Introduced leaderboard! Now you can show off to friends or relatives the number of sold potatoes! 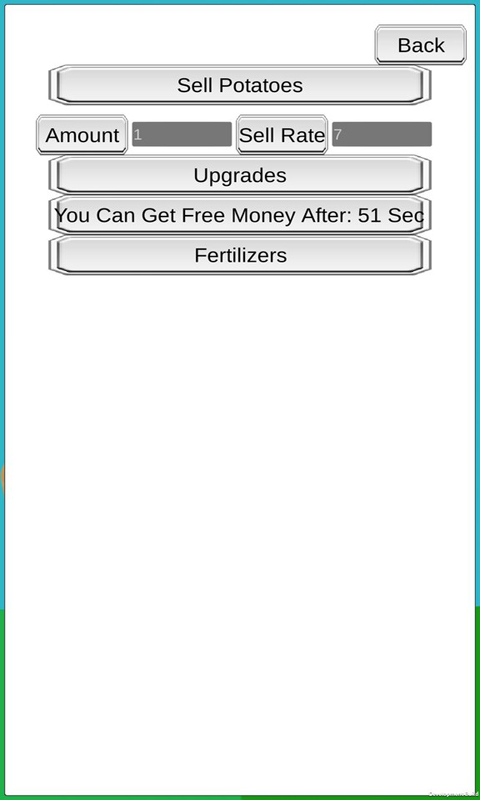 What has been introduced: Three types of potato Fertilizers Upgrades Sound Two languages Tutorials Saving Daily gifts system Leaderboard AntiCheat In developing: Anticheat (now protected only the number of potato + Money (in v0.5)) Items (Potato vac etc.) Achievements Just play it!